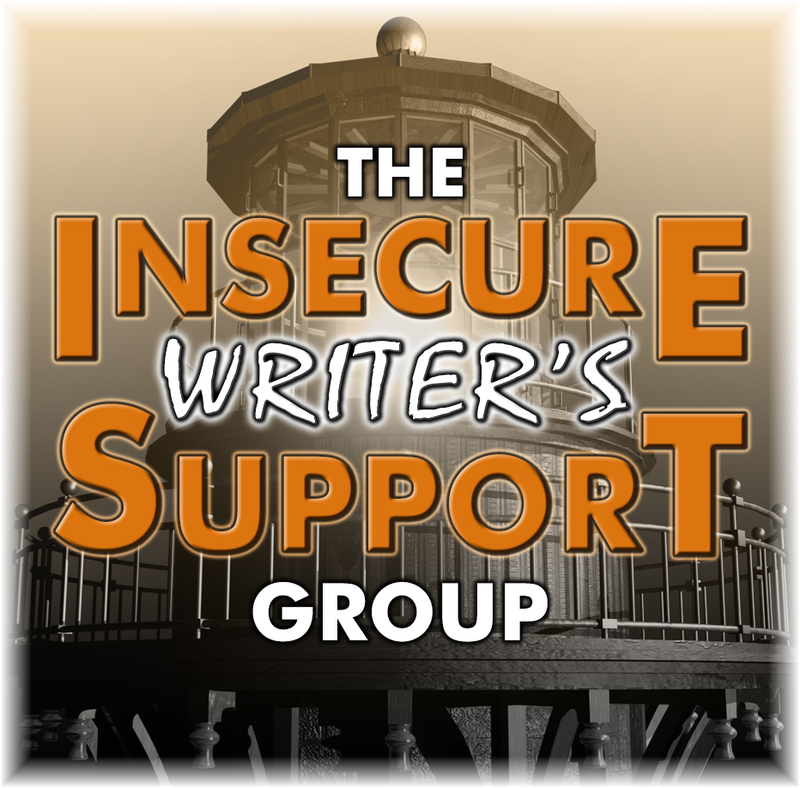 This post is part of the Insecure Writer’s Support Group blog hop. 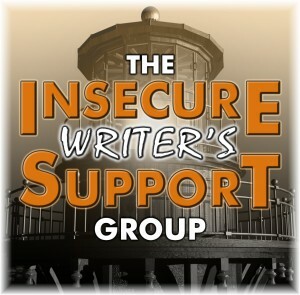 The first Wednesday of every month is Insecure Writer’s Support Group day. We Members talk about our fears, insecurities, dreams and failures and our inspirations. We encourage each other. Co-hosts for the December 5 posting of the IWSG are J.H. Moncrieff, Tonja Drecker , Patsy Collins, and Chrys Fey! 1) A poster of Elvis on my closet door. My first book, The Groom Wore Blue Suede Shoes was inspired by my then-five-year-old daughter and her love for Elvis. The book came out in 1996. I’m too sentimental to remove the poster. 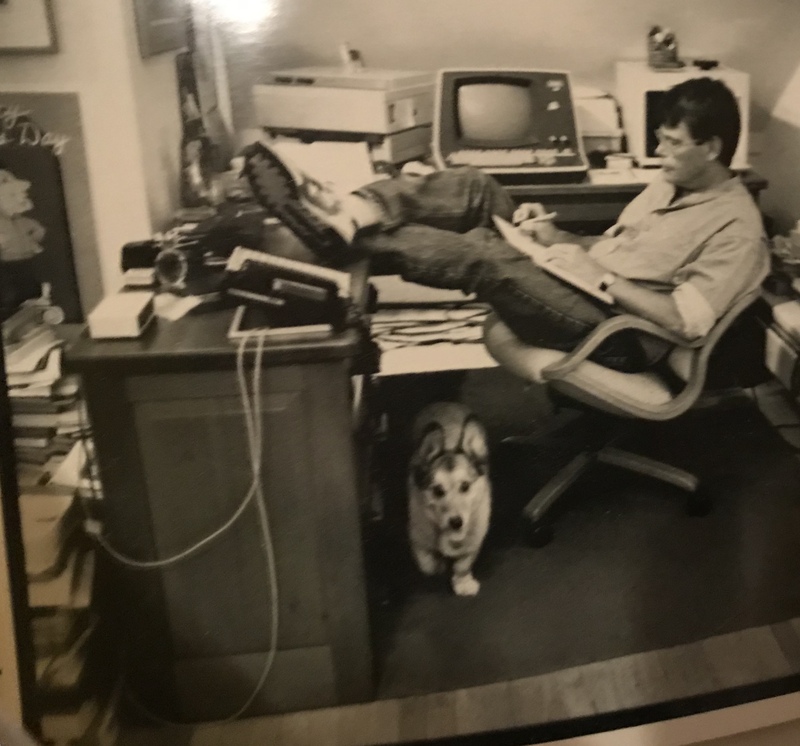 2) A post card of Stephen king is on my bulletin board. He’s sitting with his feet propped on his desk. Can anyone be more creative than SK? The post card reminds me how important it is to know our characters. SK is not only a great story teller but his characters are memorable. 3) I especially enjoy looking at a framed poster of the made-for-tv miniseries, Celebrity by Tommy Thompson. The best selling novel was about three former friends bound by a dark secret. 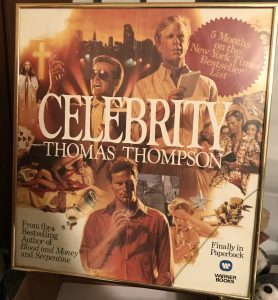 Thompson was born in Texas and covered the JFK assassination. He wrote for Life magazine and was the first writer to locate Lee Harvey Oswald’s home and wife. Hubby and I had the pleasure of meeting him at a Houston writers conference. He invited us to his hotel room with others who attended his session and regaled us with fascinating stories about his writing career. 4) My statue of John Wayne reminds me that some day I’d like to write a western. 5) You’ll always find copies of Woman’s World magazine on my desk. I read and study their weekly romance and mystery, hoping to figure out how to please the WW editors. So far, I’ve garnered nothing but rejection slips but that’s okay. Writing short 800 word romances—even if they’re rejected—teaches me to make every word count. So those are a few treasures that inspire me and keep me writing. Of course there are many more. I could just as easily name five friends who have encouraged or inspired me, or five books, or five reasons I hate WordPress … even five snacks I eat at my desk but we’ll save all of those for another time. Sounds like quite a desk! The personal reminders are always the best. I love how everyone’s writing space is so unique. The visuals of the poster, the SK picture, the statue – all sound inspiring! Interesting, isn’t it? I have to have inspiration around me! I can only imagine the stories Thompson told you! Now that was a thoughtful list of items. Thanks Alex! You’re an inspiration! Great list of items! 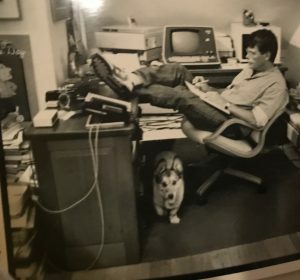 I don’t care for Steven King’s books (not my genre), but I admire him as a writer, and found his book on writing to be pretty helpful (if at times a bit too certain what a “real writer” does). Having a totally mobile office does mean I don’t get to have fun things around me while I work. Thanks for popping in, Rebecca. I read all of SKs early books. Stopped at Pet Cemetary when he had the 18 wheeler dragging the little boy down the highway. 😱 Too visual for me. Love that picture of SK! I find him to be an inspiration, as well. Id love to be as prolific as he is!